Installed Photoshop elements today. 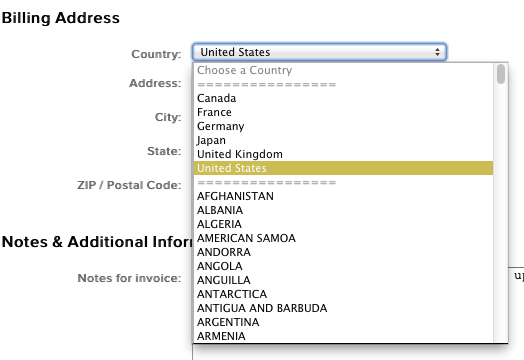 When I run it, I have to select my country/region. Selecting “United States”, where — without question — a preponderance of users are from, requires scrolling (slowly) past about 200 other countries. That might be politically correct to adhere to a rigid alphabetical listing but it’s pointless and lazy on the part of the developers. A million users x 30 seconds = 8,333 hours = 1041 workdays = half a human-work-year wasted. The solution, as a few products or websites do, is to have the 5 or so most common choices at the top of the list, then an alphabetical list.